In our continuing efforts to upgrade the product and facilities in the property, we will be carrying out some urgent rectification works in the Heart Bar kitchen located on level 2 until May 23, 2019. Regrettably, there will be some noise while work is in progress. However, we will do all possible to restrict the noise level to the absolute minimum. We are sorry for any inconvenience this may cause you and your kind understanding is much appreciated. 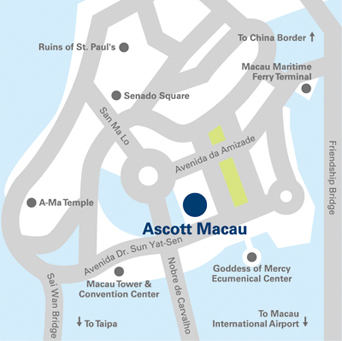 Located in the heart of the metropolis, Ascott Macau is a skip away from many local attractions and a mere few minutes' drive from the Macau Ferry Terminal, International Airport and Taipa Island. 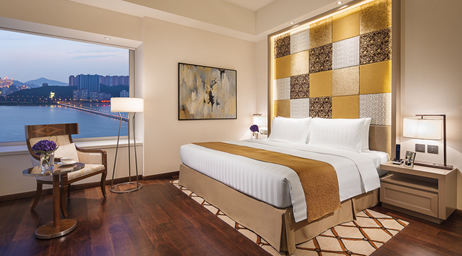 Ascott Macau promises a luxurious experience for every stay - the 110 elegantly and stylishly furnished suites are catered to the needs of global travellers. Integrated open kitchenette, and well-defined, functional areas are all inspired by Portuguese influences and design, allowing you to bask in the unique culture the diverse city brings, in the comfort of your room. 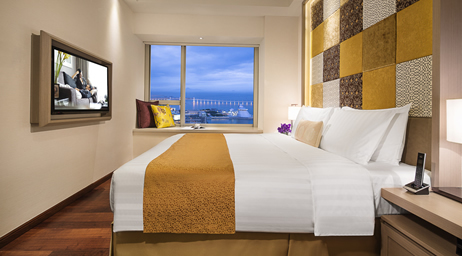 Not only can you indulge in the many entertainment, shopping, cultural and heritage activities in the vicinity, a healthy and stress-free lifestyle also awaits with facilities like the gymnasium, outdoor swimming pool, indoor heated pool and sauna room. 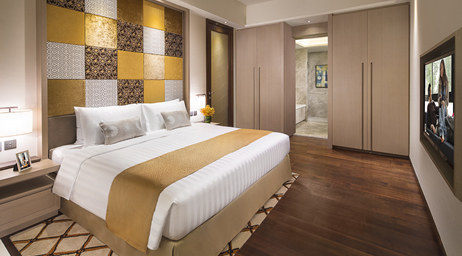 We're here to relieve the stress of your hectic schedule so you can start everyday rejuvenated, in your home away from home. 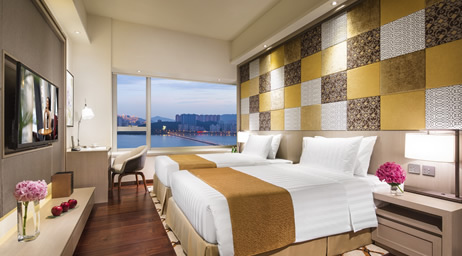 Ascott Macau is one of a premier collection of The Ascott Limited, a member of CapitaLand, bringing you over 30 years’ experience in supporting travellers who work and live away from home. Our outdoor swimming pool on Level 2 will be temporarily closed from August 24 till September 30, 2017 for repair and maintenance works, and it will be re-opened from October 1, 2017. 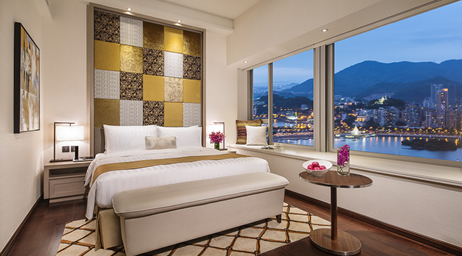 To show our care on the earth and creat a helthy environment, in-house guests who dine in Heart Bar at 2/F can enjoy 10% off and one free cocktail during the Earth Hour period. 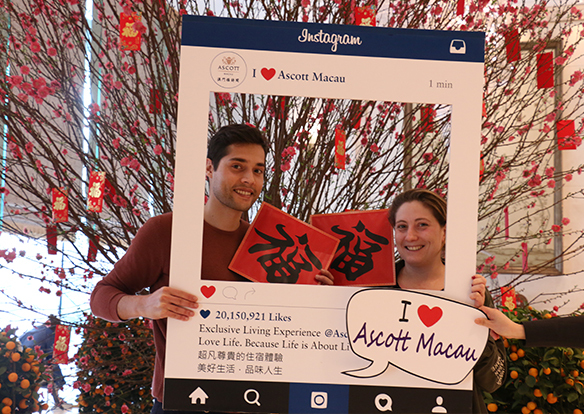 To Celebrate CNY and enhance AM brand awareness and exposure, in-house guests can receive the giveaway who “Like” AM Facebook, “Follow” WeChat and take photo with photo props during check-in. This activity can crease their impression during accommodation as well. Book our airport transfer and enjoy a hassle-free travel experience from start to finish. An additional surcharge applies.